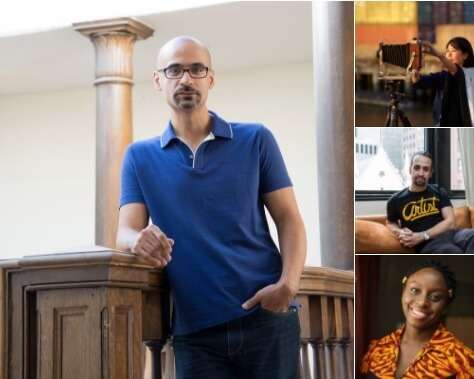 From writers like Jesmyn Ward, 40, founder and artistic opera director of a production company in Los Angeles, Yuval Sharon to a 44-year-old theater artist, Taylor Mac to playwright Annie Baker and a scholar and a Pulitzer Prize winner and for his first novel, Viet Thanh Nguyen among others. Better known as the “genius” grant, the list of the fellowship winners now reportedly includes photographers, painters, computer scientists, mathematicians, immunologists, writers, novelists, architects, social activists, musicians and historians too, all for a grant money that they can use anyway they want to. While the youngest fellow to receive the award is Cristina Jiménez Moreta at 33 who is the Executive Director & Co-founder of United We Dream, the biggest immigrant organization in US led by youths; Dawoud Bey is the oldest at 63 and is a photographer and educator in Chicago with The Birmingham Project as one of his well-known works, reports the New York Times. Anonymous nominators from across the country from different walks of life give these names to the foundation that has been awarding grants since 1978 and a team selects the final winners who were amazed to learn about their victory as the leading daily reports. Among the winners there is also a 41-year-old Nikole Hannah Jones who is a writer for the New York Times Magazine, Trevor Paglen who is a geographer and Jason De Léon who is an anthropologist at the University of Michigan and reportedly uses oral history, forensic science and archaeological research to find out more on clandestine migration across United States – Mexico border.